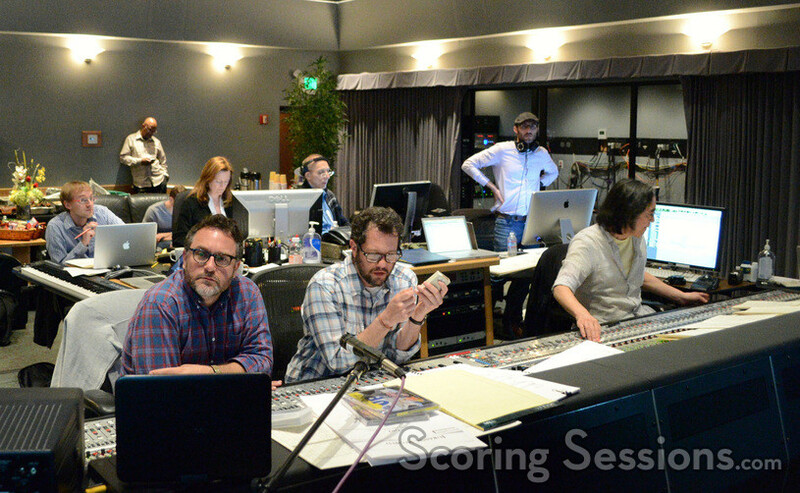 Shortly after finishing work on Tomorrowland, Oscar-winning composer Michael Giacchino was back at the stage, recording his score to the highly anticipated summer blockbuster, Jurassic World, directed by Colin Trevorrow. 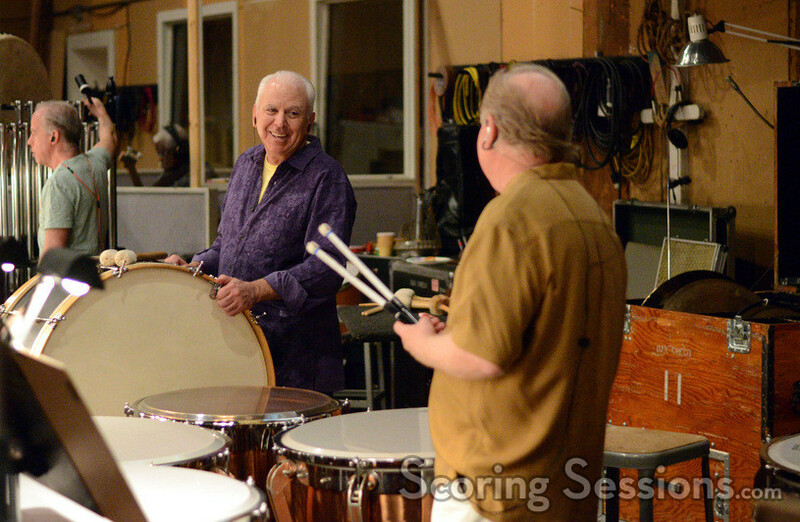 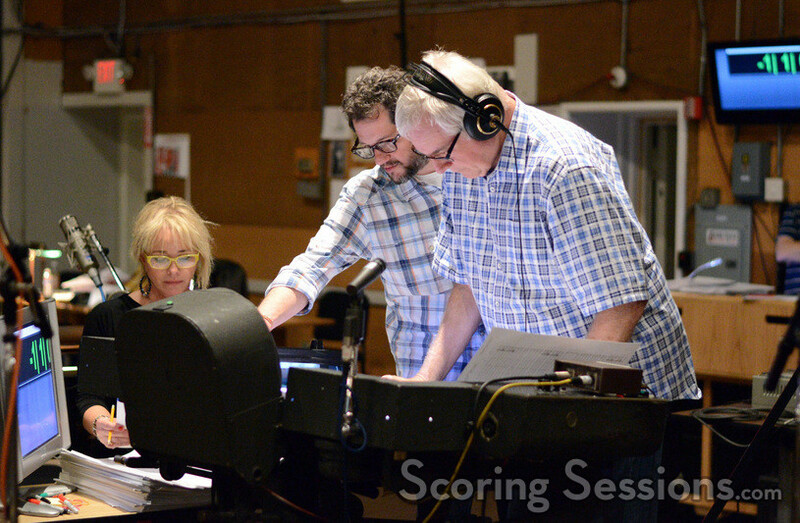 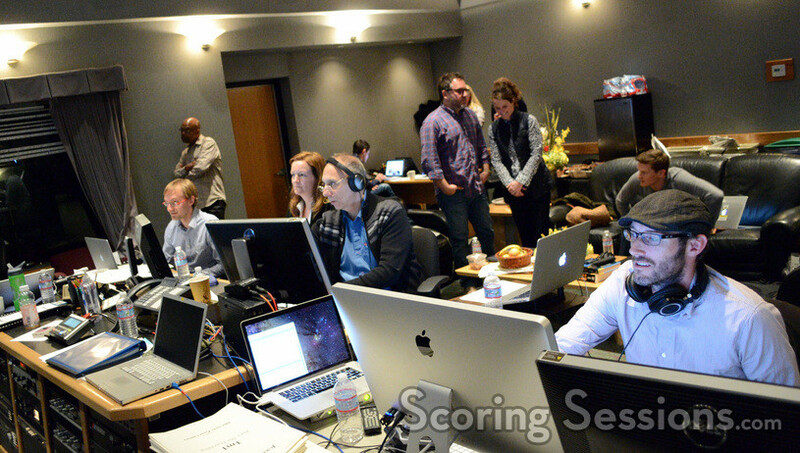 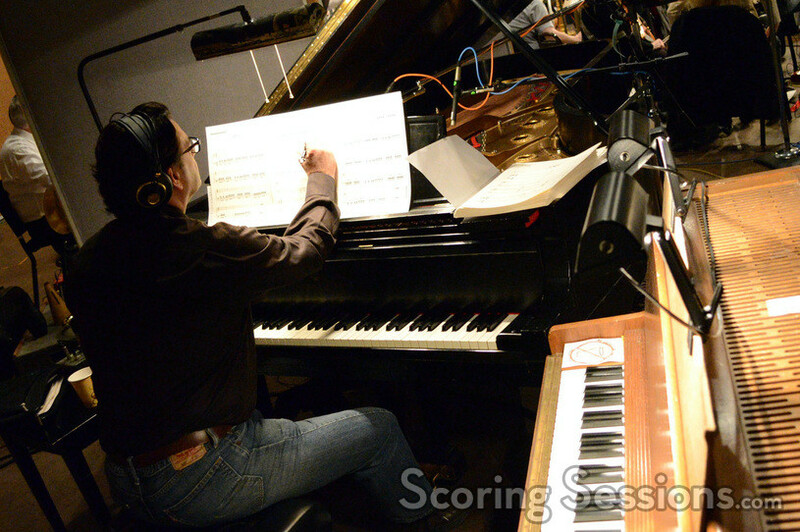 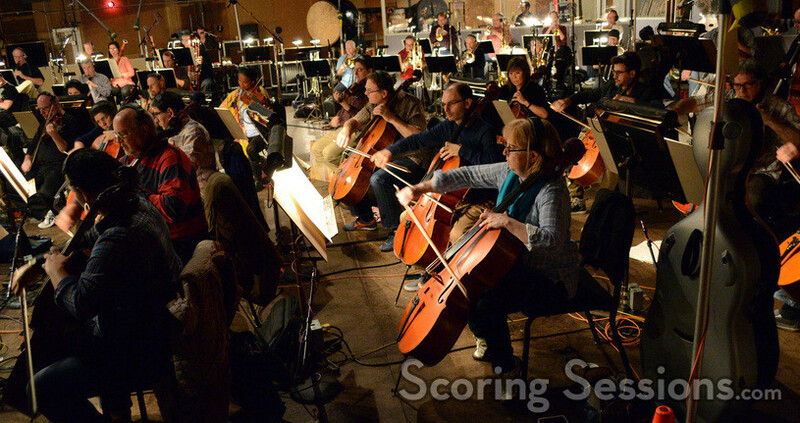 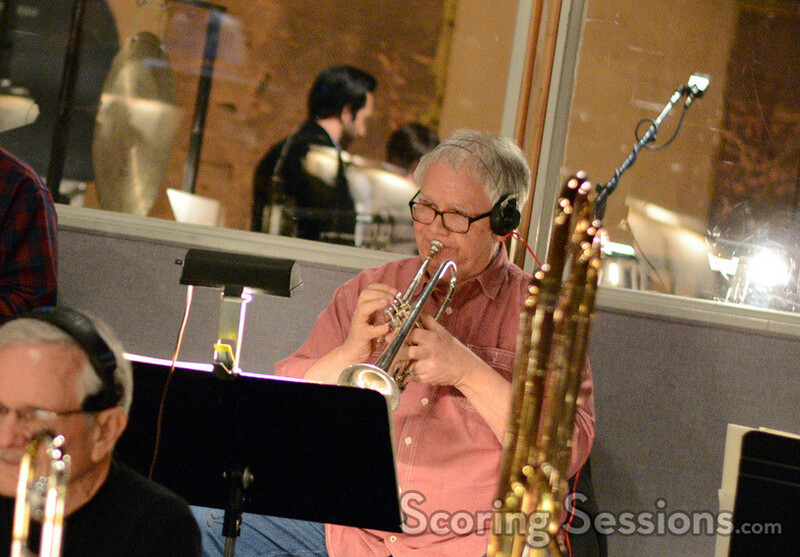 ScoringSessions.com also came back to document Giacchino’s session, and we’re excited to bring our readers exclusive photos from the sessions! 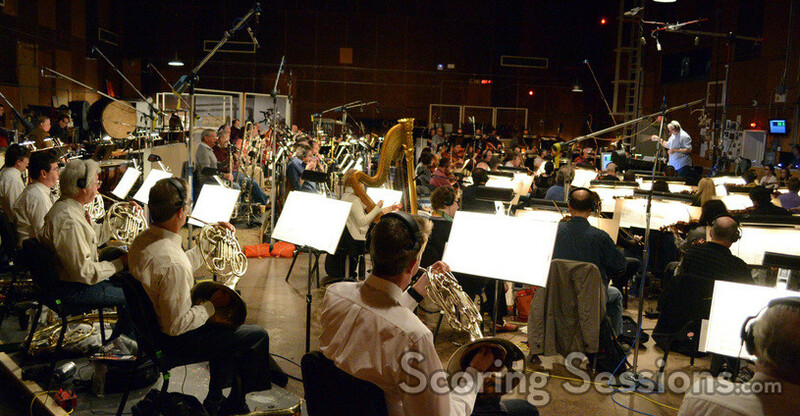 The score to Jurassic World was recorded with orchestrator Tim Simonec conducting a 102-piece ensemble of the Hollywood Studio Symphony at the MGM Scoring Stage at Sony Pictures Studios. 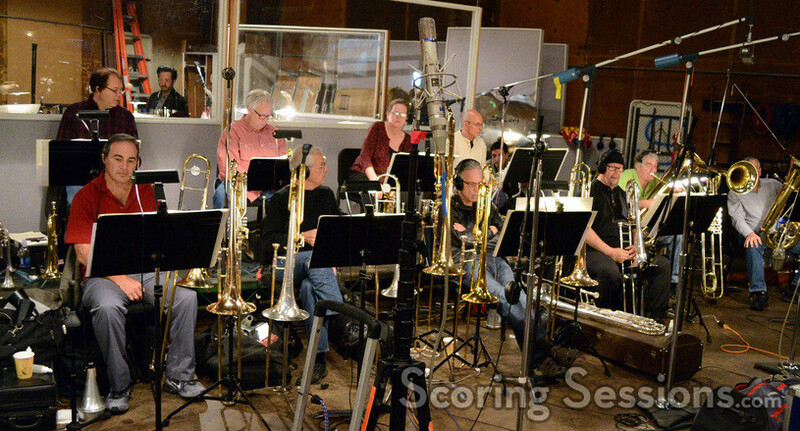 No stranger to the franchise (one of Giacchino’s first composing jobs was scoring the The Lost World: Jurassic Park video game), Giacchino’s score does indeed reference the iconic John Williams Jurassic Park theme, but for the most part forges its own path. 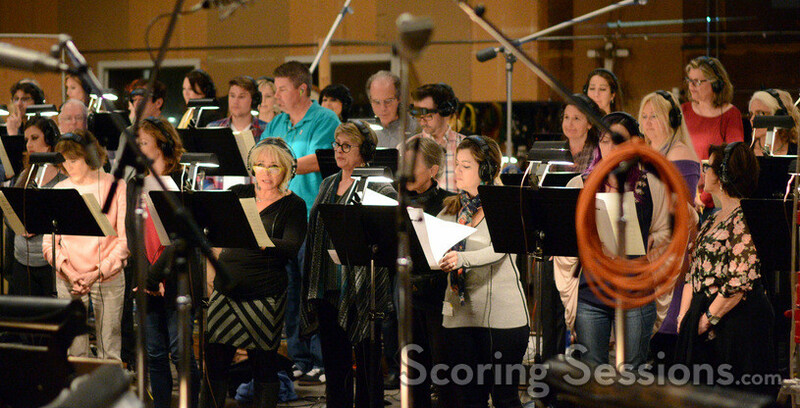 A 70-person choir was also utilized in the score, adding another layer of grandeur and excitement to the music. 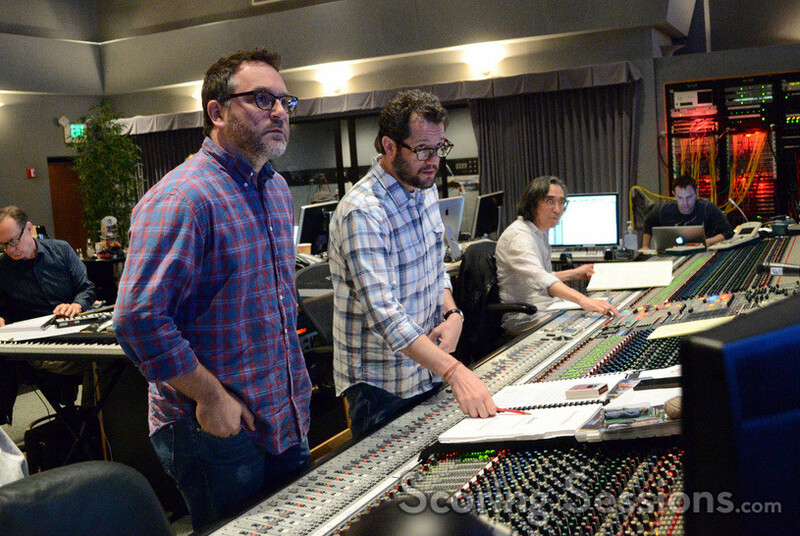 Jurassic World opens in theaters today, and the soundtrack is available from Back Lot Music.